From television to magazine, there is no secret that women are looking to have fuller and longer eyelashes. With eye lash curlers, voluminous mascara, lengthening mascara, lash implants, lash extensions, and false lashes on the market it is clear that women are looking to achieve long, voluminous eyelashes that very few of us have been lucky enough to be born with. Even women who don’t regularly wear makeup at all, will enhance their lashes almost definitely if they do choose to wear makeup from time to time. Even if you’ve never entered into the world of cosmetic enhancement, the lashes seem to be the thing most women will “enhance” at some point in there life using any of the above methods to do so. And no matter what Drew Barrymore or Gwen Stafani say in their Cover Girl commercials, I have yet to experience the lashes they’ve promised until I started using Latisse. I wear mascara daily and have done so everyday since my mother allowed me- or just gave up on my adolescent need to follow the trends. If Im running out for groceries or going out to a movie, I seem to instinctively wear my mascara. I have naturally fair hair ( which I havn’t seen since those adolescent years!) and I look very tired, I’d even go as far as to say sickly, without my mascara. So if someone asked me several years ago what I would take with me on a deserted island, mascara most definitely would be in the top 3. Until a few years ago when I was introduced to Latisse. So what is Latisse? well, its a miracle to the world of eyelash enhancement- in a nutshell. 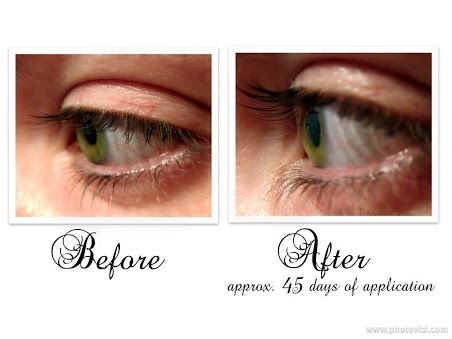 In the world of ophthalmology, we have held the secret to longer eyelashes for years. Except- it has always been a side effect in the patients we see using Lumigan® glaucoma medication (bimatoprost ophthalmic solution). Older gentlemen who have been using Lumigan for their glaucoma, come in with long, luxurious eyelashes- often in only the one eye they require drops for! So somewhere down the line, someone had a brilliant idea, it went through FDA approval and Latisse was born. On my first application of Latisse, I washed my face, and used a drop of the solution on the applicator brush along my lash line. Well, by the time I came to work I was receiving some sideways looks, and concerned patients at my red eyes. Knowing this to be one of the side effects of Latisse, I decided that I would try applying in the evening before bed. This is successful and my eyes remain clear by morning. Continuing this routine for approximately six weeks left me with significantly longer eyelashes. And not just longer, but they were fuller and DARKER! and maybe for the 3rd time in the history of my being did I leave the house without mascara. I still prefer to wear mascara even after using Latisse because I love how dramatic the combination is, but I don’t require mascara any longer. Which is a blessing for trips to the gym or a day at the beach. So if someone asked me what I would take with me on a deserted island today, Latisse would replace mascara any day! As a staff member of the Skouras Eye Centre and a woman who appreciates the enhancement of makeup, I would HIGHLY recommend Latisse to anyone looking to lengthen, thicken or darken their eye lashes. If you’re looking for more information or you would like to order/pick up a supply of Latisse, call us today at 416-590-0445.